Taking a break from the Assurance news that has been trending for days now, other topics are currently trending on micro-blogging website, Twitter. Wait, Wait, sum’n juss happen right now. 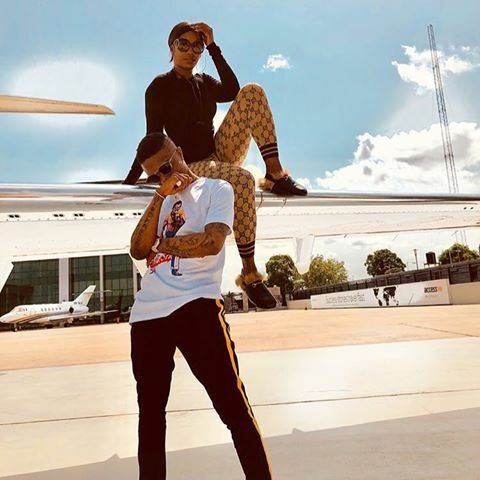 It is none other than the current word on the street that two of Nigerians favorite singers, Tiwa and Wizkid are dating. 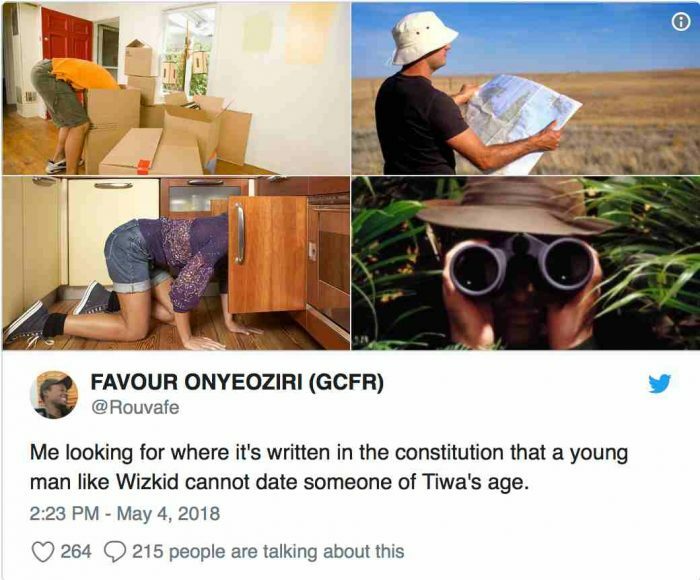 Mama Jamil and Baba Boluwatife are currently a hot topic on Nigerian social media and below are some reactions or speculations (if you like) on the both of them. This stirred controversial reactions from Nigerians online even as videos and pictures of both artistes spotted on lunch dates were also posted online. 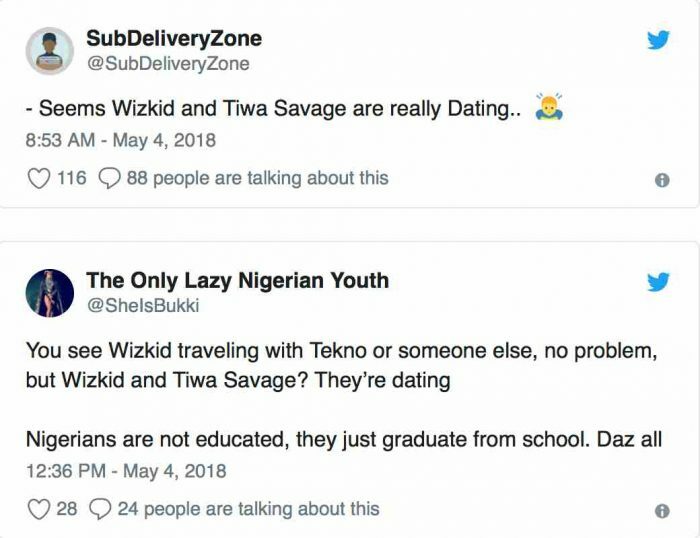 0 Response to "GistUpdates: More Reactions Trail Tiwa Savage & Wizkid’s Dating Rumors"